What is Cure: There is no unconditional cure, its all relative! What is Cure. 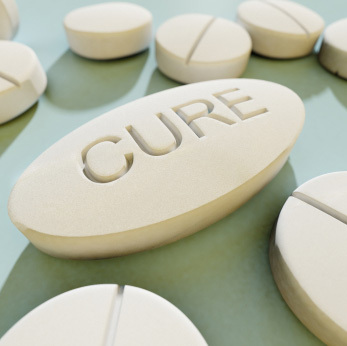 Cure is a relative term, there is no such thing as “ultimate” cure as that would mean that the disease will never return. If you have been wondering what is cure, read this article. This being an imperfect world so it has nothing perfect in it. Accordingly, there is no “perfect” human being. Everyone has at least one weakness in their body and if you live long enough, your weak spot will come to light. If the weak spot of your body is pancreas, you will develop diabetes, for some its blood pressure, for others it maybe their heart and so on. Homeopathy can enhance the body’s functioning so that coupled with a careful lifestyle, you can outrun your inherent weakness. The weakness will always be there, you will only overpower it. But with frequent excessive indulgences no amount of medication can keep you healthy. If you are expecting a miracle cure that will keep you healthy just by using a medicine, you are in for a surprise. While homeopathy can substantially reduce your body’s inherent weakness to develop diabetes, blood pressure or other chronic diseases it can’t eliminate it. A sensible lifestyle AND homeopathy can help you achieve the best possible health. We will be glad to assist you in your quest to achieve health. Before we start the treatment, we have to agree on what you think will be a realistic cure for you considering your age, how long have you had your health issues and so on. To avoid any confusion, please let us know what your expectations are going into this treatment i.e. what do you expect to see at the end of one or more months of treatment. We will document it and review it periodically.